Under composer and stage-name HA:TFELT, Yenny (Ye-eun) from the Wonder Girls has released her first solo mini-album, Me?, an introspective and wonderfully crafted album that stands out from all other idol releases this year. The title track, “Ain’t Nobody,” manages to encompass what Me? is all about — it fuses traditional and electronic elements while still managing to be emotionally raw. 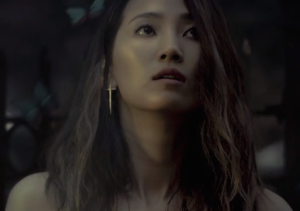 The music video serves to highlight this rawness and bestows vulnerability upon Ye-eun that is emphasized by the dance portions. To review this music video without examining the lyrics would be a huge disservice to both the song and the artist. The dark and stirring MV is built upon the lyrics and gives the MV another layer of melancholy, following a jilted girlfriend who can’t let go of the man she loves. This butterfly theme recurs throughout the music video. The first time a butterfly is seen, it is trapped in a jar. As the verse comes to an end, the jar is smashed and the butterfly is released which signifies the release of the man from their relationship. 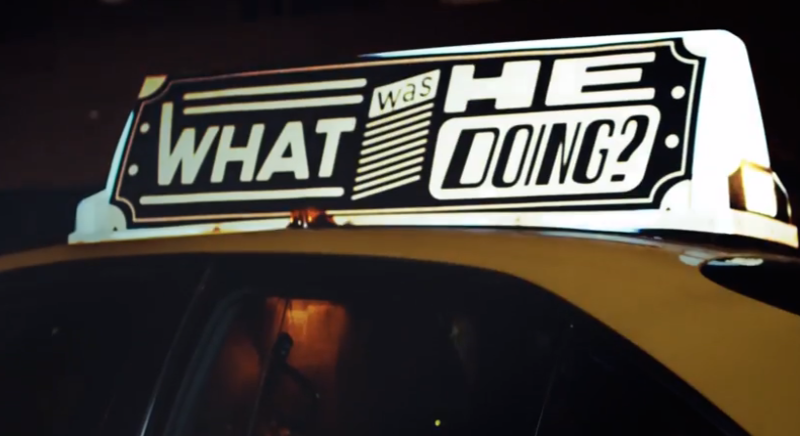 The butterflies appear again in the video when Ha:tfelt reaches her ex’s apartment. The outburst of butterflies is then used to symbolize the man’s womanizing ways and perhaps allude to the many women he sleeps with. In contrast to the subdued verses, the dubstep-infused chorus is sung with an air of desperation and loneliness that is illustrated by the dance. The use of dubstep adds power to the chorus, yet it is Ha:tfelt’s facial expressions and body that make the most impact. Her expression switches from angsty and mournful to an almost crazed expression around the one minute mark. During the second dance break in the middle of the street, Ha:tfelt becomes even more vulnerable, as if she’s almost given up. Dancing in the middle of the street was an interesting choice but I think I would have liked it better without the car. Had the car not been in the scenes, the emptiness of the street could have further highlighted her inner turmoil. Another issue with the MV is the lighting. The MV was shot with low light and while the darkness does add to Ha:tfelt’s loneliness, it also makes background details hard to see. This seems to be intentional — the beginning of the MV is bright and it is only when the butterfly is set free from the jar that everything goes dark — but it was still a little annoying. In particular, I would have liked to be able to make out background details in the scene with the butterflies pouring out of the door. The ending of “Ain’t Nobody” is rather ambiguous as Hat:tfelt walks down a red hallway. This burst of color is unexpected and simultaneously eerie. And the meaning is unclear when Ha:tfelt is framed by both blue and red (pictured above). Is she caught between the blue of her ex and the red of … someone else? Normally, shades of blue represent sadness, calmness, and things of that nature while reds represent passion and love. The juxtaposition of the two colors could indicate the war of emotions inside herself while the butterfly could represent her metamorphosis from a girlfriend to just another “flashy color.” I personally think the MV alludes to Ha:tfelt’s break-up with a non-celebrity she met in the US. On an old episode of Strong Heart, Yenny appeared and told the story of how she had secretly been dating a man she met while touring in the US. However, her busy schedule kept them apart and they later broke up. After drinking alcohol and deciding to call him two months later, she found out that he had a new girlfriend. 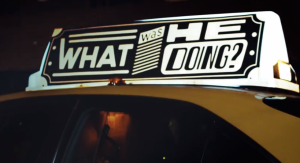 The setting of the MV in Brooklyn first hinted that “Ain’t Nobody” could be about that ex. However, what really sold me on this theory was the use of the phones. In the beginning of the video, the camera focuses on Ha:tfelt’s phone and while she has clearly sent “my babe” several texts, he has not responded. The man is later seen scrolling through his phone and only puts it away when the new girl joins him. Although it’s unclear if the man replied to Ha:tfelt’s texts or not, I believe he did, as the next scene shows Ha:tfelt somberly walking down the street, phone in hand. During the street dance, the phone is right next to her as if it is the cause of her emotions. 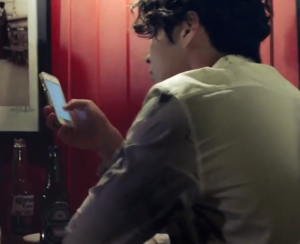 After the dance, however, her phone is never seen again in the MV which leads me to the conclusion that she has ditched the phone and left behind her relationship with the man. I theorize that the framing of the blue and red then indicates that Ha:tfelt has gone from saying that nobody could love him better out of desperation to saying it as a grand “f**k you” gesture. Overall, “Ain’t Nobody” is an artistic music video that does it’s best — and succeeds — at portraying the intense emotions of the disorientation of being broken up with. The dance emphasizes these feelings and leads to an emotionally raw contemporary dance that a different idol could not have pulled off half as well as Ha:tfelt does. Letting Ha:tfelt compose her own album has been one of the best decisions JYP has made this year and “Ain’t Nobody” is proof of that! Did you like Yenny’s solo debut? Have a different interpretation of the red and blue scene? Let us know below!